Everyone should be able to access good-quality NHS dental services. There is no need to register with a dentist in the same way as with a GP because you are not bound to a catchment area. Simply find a dental practice that’s convenient for you, whether it’s near your home or work, and phone them to see if there are any appointments available. Dental practices won’t always have the capacity to take on new NHS patients – you may have to join a waiting list, look for a different dentist who is taking on new NHS patients, or be seen privately. 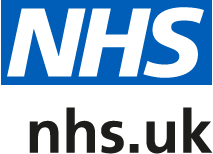 You can find the most convenient dentist to you via NHS Choices. If you think you need urgent dental care, try contacting your usual dentist as some practices offer emergency dental slots and will provide care if clinically necessary. For more information about charges you can visit NHS Choices.